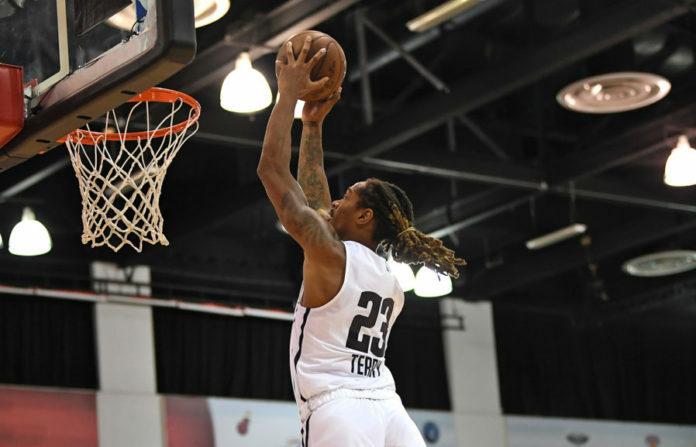 Multiple sources have told Mile High Sports that the Denver Nuggets have waived forward/center Emanuel Terry. Terry was on a training camp deal with Denver this summer, but there was almost no path to him sticking with the Nuggets. In addition to already having all 15 guaranteed roster spots filled, Denver also has already used both of their two-way contract slots on summer league standout DeVaugn Akoon-Purcell as well as their second-round pick Thomas Welsh. Because of the current roster construction, it was almost inevitable that Terry was eventually waived. Still, in his short time with Denver, he impressed the Nuggets organization as well as his former teammates. Terry’s start with the Nuggets originated with an invite to join their roster in Las Vegas for summer league. While in Las Vegas, Terry averaged 7.4 points, five rebounds, and 0.8 steals in 17.6 minutes per game. He also displayed a strong defensive mindset as well as the versatility to defend in the paint as well as on the perimeter. 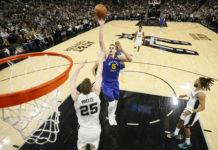 During summer league, he managed to earn the respect of Denver’s front office which led to him eventually being offered a deal to join the Nuggets for training camp. Terry only logged two minutes throughout three preseason games for the Nuggets, but his impact goes much further than his on-court production. He built meaningful relationships with many players on the Nuggets’ roster and pushed them all the way through training camp. Simply put, Terry was a phenomenal teammate with an incredibly strong work ethic. He made the Nuggets a better team during his time with the organization. 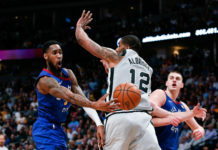 Now, he will likely receive interest from organizations that are overseas, but Terry told Mile High Sports during summer league that he wants to stay in the country. 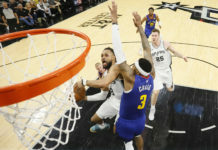 That means he will either end up on a two-way contract with another NBA team or sign a deal with one of the 26 G-League teams. Because the Nuggets are one of just three teams who do not have their own G-League affiliate, Terry will have to look for another team to take a chance on him. There is currently a total of 14 open two-way contract spots remaining across the National Basketball Association.